Mon., July 30, 2018, 10:27 p.m. 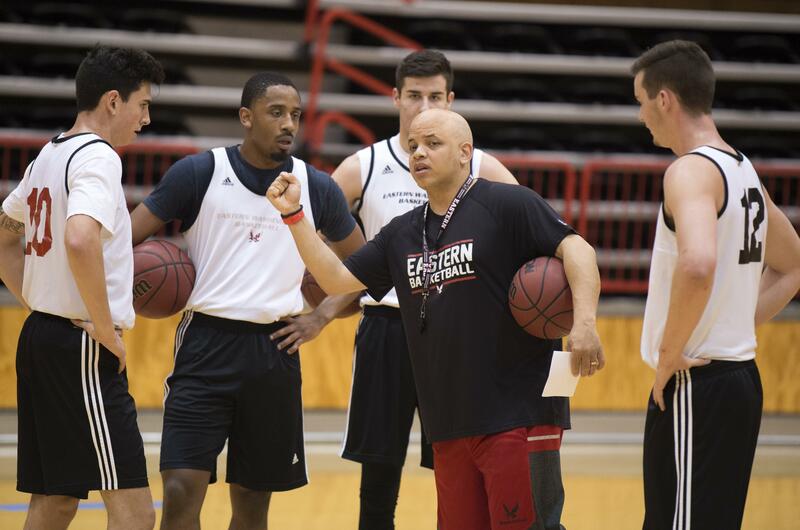 It will be a season full of challenges for the Eastern Washington University men’s basketball team when the Eagles embark upon their 2018-19 nonconference schedule. The schedule, announced Monday, has the Eagles opening at Syracuse on Nov. 6. Other rugged nonconference road games include Pac-12 opponents Oregon, Washington and Stanford. Eastern will play 11 games – four at home and seven on the road – prior to the start of Big Sky Conference play on Dec. 29. Eastern’s conference schedule was announced on July 24. The Big Sky Conference Championship, which will take place in Boise, Idaho, for the next three years, is scheduled for March 11-16, 2019 at CenturyLink Arena. The Eagles finished the 2017-18 season with a 20-15 record. Published: July 30, 2018, 10:27 p.m.